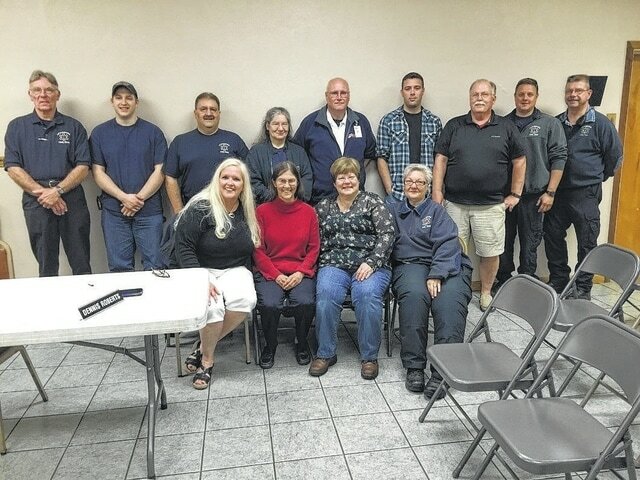 LEWISBURG — A retirement recognition ceremony was held during the May 21, Lewisburg Village Council meeting, honoring Dr. Judith Royer for her 12 years of service to the Lewisburg Fire/EMS as Medical Director. Patrick Putnam, Village Mayor read a proclamation and presented it to Dr. Royer. B. J. Sewert, Fire and EMS Chief spoke about her dedicated leadership that she exhibited during the years of her service. Sewert spoke of what her assistance and expertise provided to the department. He stated that her help contributed so much to the betterment, and professionalism of the department. He went on to say that the high level of service that the Lewisburg Fire/EMS department provides to Lewisburg citizens can be attributed to Dr. Royer. Sewert then presented Dr. Royer with a plaque and gifts for her work for the Fire/EMS Department. Refreshments were served to those in attendance.